Batman is racing through space in the ship he stole from Lobo to rescue Superman who was set up and captured during a rescue in Scorch Space. Clark, weakened by a kryptonite shard, awakens when he hears his friend's voice emitting from his lost comm-mask... but as he opens his eyes he is greeted by his captor, Si Bar, a Daxamite who has been a prisoner himself in Scorch Space for many years. Clark wonders out loud as to why if they have Si Bar they would need him too but when they both scan his body they discover he dying. 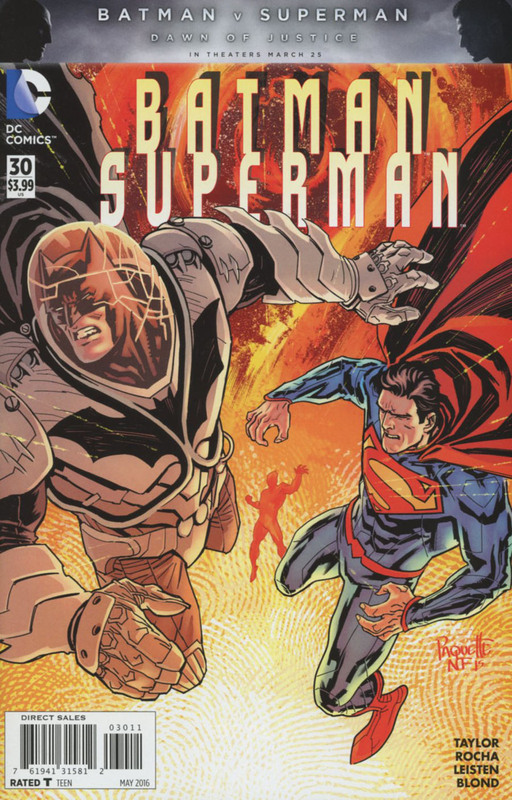 The compassion Clark shows him earns the Damaxite's trust and he melts his captive's chains and melts the kryptonite. Lobo is nursing his half burnt face and activates his ship's tracking system to track down Batman. His reptilian boss, angry that the job is only half done, demands Batman die for the full payment. Lobo lets Bruce know he is hot on the trail, so Batman activates a contingency plan calling in Green Lantern directly through his ring! Batman explains he has reverse engineered part of the communication function of the Oan ring and that he needs the GL Corps to intercept him. Back in Scorch space, the guards arrive to stop Si Bar and Superman. 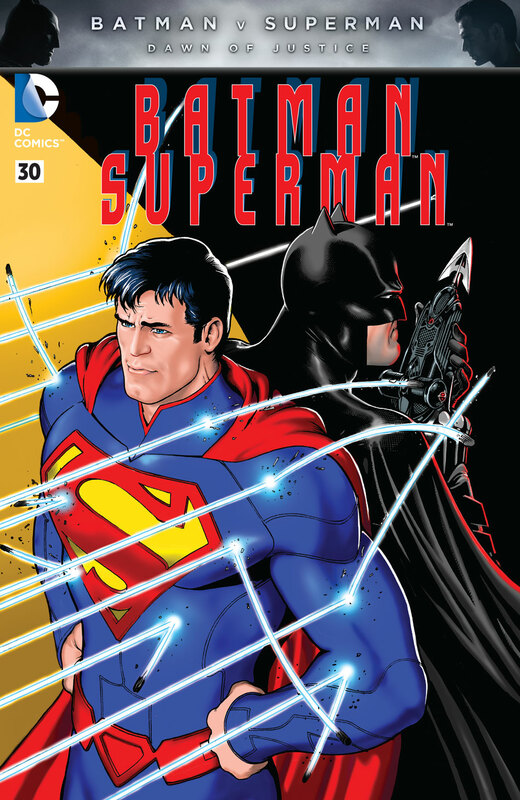 Clark promises that as soon as they escape he will help him return to Daxam and as they explode from the prison and out into space Batman makes contact with a plan. Outside the ship Lobo arrives and starts a hunt for the Dark Knight. After a tussle Lobo gains the upper hand and thrusts Batman out of the airlock until he suffocates. He pulls in the limp body and Lobo presents the corpse of Batman to his client. Busy bickering they are taken by surprise when Batman rises, alive and well. Before he succumbs to a painful death Batman asks why the villain murdered his own daughter. Once the vile story is revealed, Lobo leaps forward to kill Bruce only this time Batman grabs the bounty hunter, soars into space and hurls him into the darkness. As Batman removes his costume it is revealed he was Clark in disguise. The lizard realizes he has been tricked but it is too late to retaliate as a squad of Green Lantern Corps arrives having recorded the confession the lizard had made earlier and take him into custody. A weak Si Bar returns with Clark and Bruce to Earth, his final dying wish to watch one last sunset. Story - 5: What fun! Many a rainy day I've flicked through copies of World's Finest, Superman Family and suchlike, finding myself engrossed in such creative but often silly (signs of a simpler time) stories that while exuding charm have been all but lost in modern comics. To have such classic tropes brought into the story and treated with a respectful nod was refreshing. Legacy doesn't have to mean corny. Tom Taylor gave us a satisfying conclusion to a great space mystery. Lobo aside it was just superb, I loved the heartfelt and emotional scenes with Si Bar, he had an impact on both Clark & Bruce and I'll admit to myself mourning his loss and fading away. The big bad was almost irrelevant in the grand scheme, but that right there, is good storytelling. Art - 5: Aside from the side profiles of Batman and Superman being a little rushed, once on page 2, once at the sunset, the rest of the art was fantastic. There wasn't a lull in the pace of the story nor in the art. Again as with the writing, the 'cheesier' elements are played seriously and they exude fun. I know some people will object but I liked the scene where the lizard tried to squash Superman, a tad graphic but again balanced by their back up plans to switch identities and calling in the Corps. Cover Art - 4: Keeping the mystery of Si Bar and still delivering a cool cover. It is a little bit too orange, the over saturation really detracts from the fantastic composition. Maybe Paquette will read this and release the line work pre coloring on social media for the comparison. Variant Cover Art - 4: This cover is awesome. Kevin Maguire is a magician in the art field. There I said it.